The Many Travel Abroad Jobs Deception Being Freely Advertised on TV in Ghana | Who Regulates Such Advertisements? I live abroad; and I can tell you there are no jobs out there. I have several friends in different countries that I regularly visit, these friends are unemployed not because they don’t want to work but because the jobs are not available. Yet, I have seen countless posters and TV advertisements guaranteeing jobs to people in Ghana alongside 2 years or so working visas in countries like UK, Australia, USA, Germany and the Netherlands. Apart from personal experience, the U.K has about 5.4 percent unemployment, the USA has a close figure of 5.5 and the Germany has about 4.5 percent unemployment. Beyond these figures, the refugee crisis in recently times and the free movement of even Eastern European citizens into Western Europe has worsen the shape of employability in all around Western Europe. It’s therefore shocking and somewhat amazing that such advertisements are being ran—easily placing employability just at the corner for Ghanaians who would pay some fees. Ghana is hard; and this has given birth to desperation all over. There are no jobs in Ghana and equally there are no jobs anywhere. It’s a hustle at every corner of the world—except that the grass seems to look greener at the far end. I am sure so many people are calling these people who have some hidden jobs in the mentioned countries for Ghanaians—and probably giving out their money to those making the promises with no real benefits in exchange. When desperation sets in, people would always take advantage to fill their pockets and that’s what I see these advertisers to be doing. The question is; who regulates these advertisements in Ghana, especially those on TV? Do people just find som money and pay for airtime to advertise whatever, including such illusion? At any point in time, citizens must be protected from scammers, apparent scamming schemes like these should not be allowed to freely be advertised. Don’t be fooled; there are no jobs anywhere—it’s equally hard at the other end. I know several people with Masters and PhDs who cannot even find jobs in these countries being advertised as land of jobs. And the menial jobs are all gone. It’s a hustle for everyone so don’t be deceived. I know of a man in London who had a flourishing cocoa farm and business who sold his farm and assets for a London visa with a promise of a job—today, the man the even has no place to sleep, let alone a job under his belt. 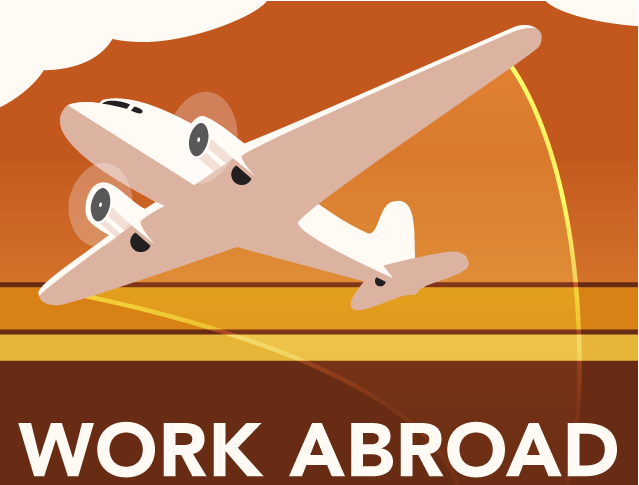 What abroad do you travel to where jobs are not available? Cos am 20 years old with 2 excellent paying jobs and all my boys of the same age too. Example one is a store manager at Dagenham JD and works for TFL offices at nights. Jobs are available to those with the correct documentation and not the illegal means Africans try to use.